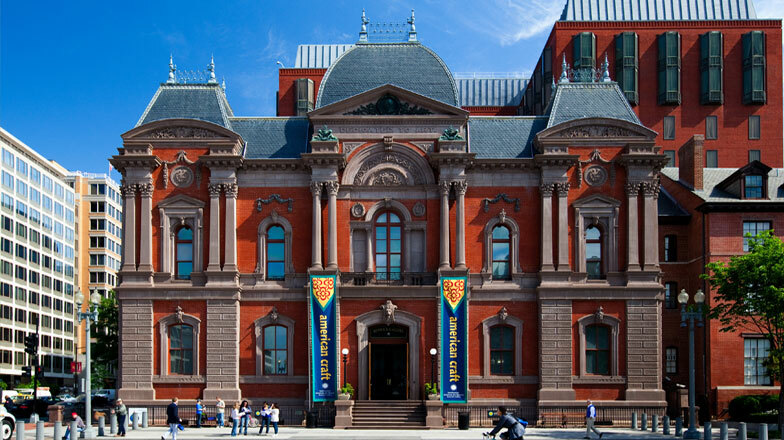 When the Renwick Gallery, home to the Smithsonian American Art Museum’s craft and decorative arts program, reopens on November 13, 2015, after a two-year renovation, it will be one of the Smithsonian’s most energy-efficient museums and a model for other museums nationwide. The groundbreaking new LED lighting system marks a significant advance in museum energy efficiency. 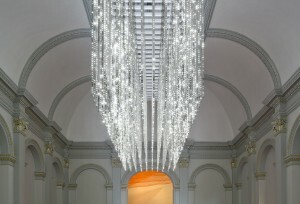 With these lights and other infrastructure improvements, the Renwick Gallery will cut its energy use by more than 70 percent. The new system is the brainchild of the museum’s lighting designer, Scott Rosenfeld, who researched whether LEDs can produce museum-quality lighting and how that light interacts with artworks over time. He then worked with lighting manufacturers to develop special bulbs and fixtures, which will be available to other museums. Aarow Electrical Solutions, LLC, a full-service electrical contractor in Hughesville, MD, that recently renovated a historic stage at Georgetown University, was chosen to upgrade the lighting as well as the security, data communications, and fire alarm systems. In the 40,000-square-foot gallery, Aarow installed 1,300 linear feet of exhibit-grade, DALI-scalable LED track lighting and approximately 2,200 fixtures. Aarow also converted the existing dimming system into a high-end, customized lighting control system that can be set to come on at specific times and lighting levels to create multiple scenes for the greatest aesthetic value. In offices and other areas outside the gallery, Aarow installed T5 lamps, compact fluorescent lamps/lights (CFLs), and LED wall packs on exterior walls. “This project was special not only because the Renwick Gallery houses the nation’s artistic treasures, but also because it gave us an opportunity to do what we do best—pay attention to minute details and coordinate with other contractors and suppliers,” said Rick Steele, chief operating officer at Aarow. One challenge was that to preserve the building’s historical integrity, the contractors needed to hide all raceways behind existing features, and space was tight behind the plaster walls and ceilings, the cornices and baseboards. Through extensive communication with all the trades, Aarow made an innovative plan to use different types of raceways and routing systems that skirted existing wood structures. For example, Aarow teamed with Consigli Construction Co., Inc., the general construction contractor, to remove baseboards and cut holes in ceilings with minimal cutting and channeling. Because of the low ceiling in the basement, Aarow worked with Siemens Building Technologies to engineer a secondary feeder breaker and relocate the metering equipment into separate enclosures built on the walls. As physical storage space was limited, Aarow carefully coordinated delivery schedules so that suppliers sent materials just prior to installation. The public soon can get a first look at the new lights and other renovations in this National Historic Landmark building. The inaugural exhibition, titled “WONDER,” will feature larger-than-life installations by nine major contemporary artists who work intensively with expressive materials such as tires, thread, insects, branches, netting, glass marbles—and LED light strips. Checkout other impressive work from Electrical Alliance contractors in our project profiles showcase.